It's officially summertime! In the last post, I wrote about wanting to unwind after the school year and it only shows how I'm looking forward to having one. With school finally over (it's only graduation practices left for my boy), I'm slowly scouring the internet for places to go. And since I'm looking for a place to relax too, I'm targeting resort spa destinations this time. Before my birthday last year, I was lucky enough to be part of the group of bloggers sent by Cebuana Lhuiller Insurance Solutions to the first-ever Happiness Boot Camp at Nurture Spa, Tagaytay City. I think this was the first time I experienced staying in an actual resort spa. 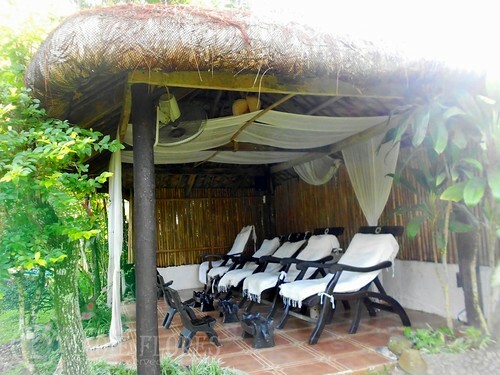 I would love to back here with the boys even just for a relaxing night of special massages and organic food. Speaking of organic food, I would love to go back to Bohol with my family and stay in Bohol Bee Farm. We were only able to go here because it was part of our tour and we weren't able to stay for a night. The resort not only offers traditional hilot and other massage services that can be enjoyed outdoors facing the sea but also sumptuous meals created with freshly harvested produce from their own organic farm. 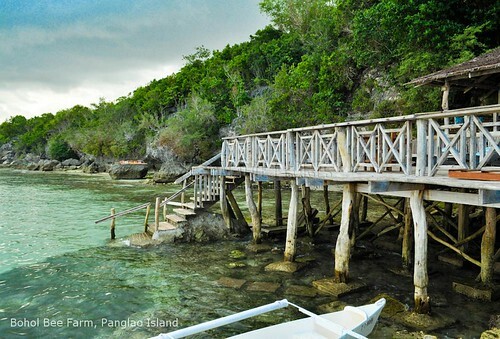 I first fell in love with Bellaroca Island Resort and Spa when I saw the vacation photos posted by my blogger-friend Peachy (ThePeach Kitchen) on Facebook. The place is so beautiful and scenic that the ambiance itself can already relax my being. Among the three resort spas on my list though, this one is the most expensive so I really have to start saving my precious dollars for this trip. If your dream resort spa destinations are like mine, I suggest that you better start booking now as these resorts are slowly becoming fully booked. Just in case budget doesn't permit you to take the vacation now, well, it's best to start saving as early as now for your dream resort spa vacations with the family. These are good choices, hope to visit them soon. I like most the Bohol Bee farm and read lots of good raves about it. I haven't been to Bohol Bee Farm but if you have the budget, go for Bellaroca! You won't regret it! We went to Bohol last year, but we never went to the Bohol Bee Farm. I'd love to have a body massage, too. I'll suggest Nurture Spa to my husband. He's looking for a place to visit in Tagaytay. I want to try Nature Spa.. specially their native accommodations, kaso mahalia jackson! I want to visit these 3 places that you cited. I always try the spa services of almost all the resorts that I visited. Find destination for summer is very tough job for me because i wandering much places no doubt that this article have its own special look i am at the tour of US and already book the ticket through this site bus knoxville..